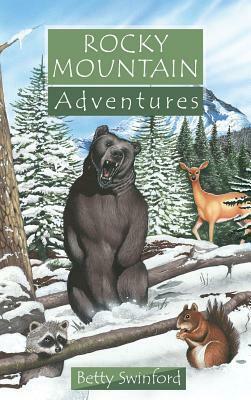 Review:Rocky Mountain Adventures by:Betty Swinford | A Simple Life,really?! The Rocky Mountains are full of rugged terrain and breathtakingly high mountains. They are all about the stunning beauty of creation. But there’s danger too with black mountain bears and poisonous snakes to watch out for. Elk, deer, moose and coyotes all live and survive in this part of the United States of America. Humans live there too and missionaries. Yes missionaries! Because everyone who loves Jesus is a missionary whatever country they live in. Read about trekking and white water rafting, the black panther and a deadly spider. Find out about the Navajo Indians and how people are praying for them and that many of these wonderful native Americans will be brought to know Jesus Christ for themselves. Join in the Rocky Mountain Adventure set out on the trail that will teach you about this wonderful mountain range and the amazing God who created it. Betty Swinford lived right in the mountains of northern Arizona. There is lots of snow, a monsoon season, mountain lions and bears walking down the streets she brings to life the life round about her. The rugged Rocky Mountains located in the northwestern part of the United States are full of all kinds of interesting sites and attractions. And lets not forget full of all kinds of creatures whether its the black bear, elk, deer, or even all the poisonous snakes in the area. As you will soon learn about this area of the United States upon reading the book, it is not a place for the light hearted. There are some wild and sometimes deadly animals among the mountain terrain. Join the author and her family as they take us along on some of their wild and exciting adventures. And even though these adventures are hair raising, they could be some of the best , most fun things your children could learn about. Throughout the book the author shares God’s word to help keep everything in this fascinating world in perspective. Too many times we take the world around us and forget who gave us all the wonderful landscapes and wildlife to enjoy. If you would like to learn more about this book or others in the series you can go to this link. **Disclosure** This book was sent to me free of charge for my honest review from Christian Focus Publications.